Click Here to buy gift certificates. 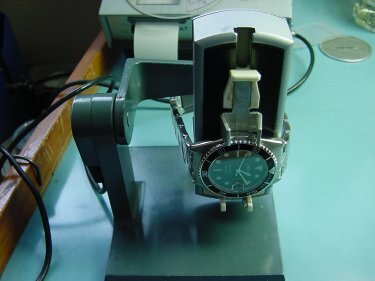 Many people believe that watch accuracy can be achieved by simply adjusting the regulator screw towards the + or - position. Regulating a watch is a lot more complex than this. Watches that are inaccurate are inaccurate for a reason. Generally, these watches require CLEANING AND CONDITIONING (oiling and greasing of the winding mechanisms). Conditioning also includes: ensuring that all of the train wheels are free from obstruction, the hairspring is centered, and the last coil of the hairspring moves freely between the regulator pins. After the above conditions are met, then you can proceed with regulating the watch. Before we send a watch to a customer, we make sure it is properly regulated. 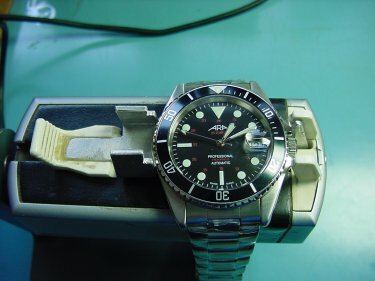 Below, we will show how we regulate an eta 2824-2 movement which is found in our ARA dive watches. A watch should be regulated in three important positions: Crown Down, Dial Up and 12'Oclock Down. The fact that the eta 2824-2 has a very high beat, the accuracy can be guaranteed if regulated closely in these three positions. The higher the beat, the more accurate a watch is so it is not necessary to regulate in any more positions. 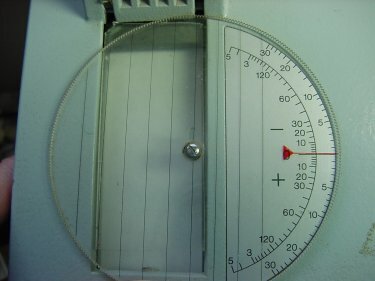 It is not practical for a watchmaker to check the accuracy of a watch by observing it over a few days as many articles on the internet suggest. 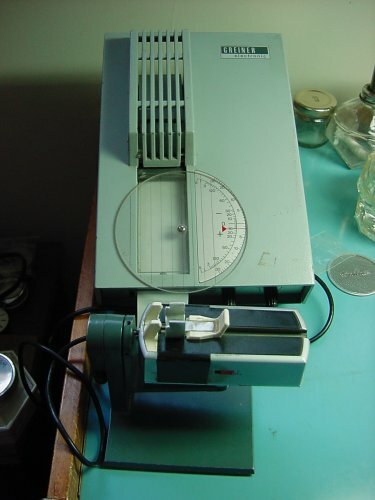 I use a Greiner timing machine. I place the watch on the microphone and read the printout that the machine spits out. Based on the printout I would adjust the regulator screw accordingly. (This will be described in more detail below). A printout of the beat of the watch is recorded by the machine. 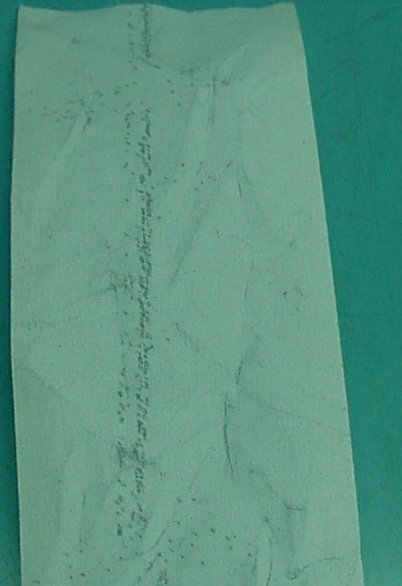 The printout appears as dots and it forms a line. Below are pictures of what this printout looks like. You will take readings in all three positions. 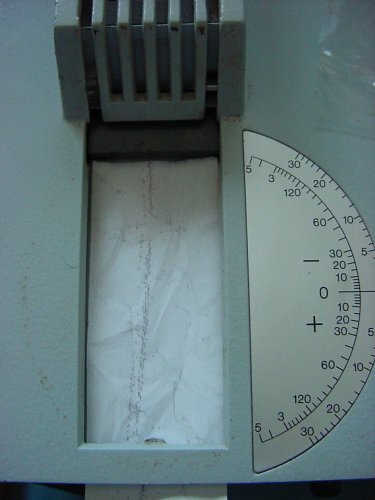 A rotating Plastic disk on the machine has parellel lines which are lined up with the line on the printout. The red arrow indicates how many seconds "fast or slow" the watch is performing in 24 hours. Based on these findings the regulator screw is adjusted. It is turned towards the plus sign if it is running too slow or towards the negative sign if it is running too fast. Watch accuracy is an average of seconds between all three positions. Our new ARA watches are regulated to be accurate within about 5-7 seconds a day. 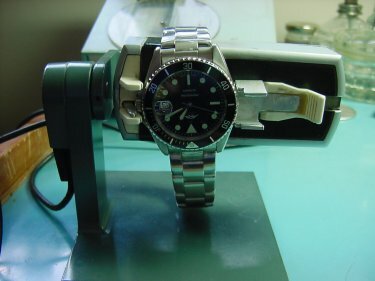 New watches do have a break-in period and should become even more accurate with use. If you would like to have further discussion on regulation or are interested in getting your watch regulated, please email me at [email protected] or post in our user forum. Q: How long does the process actually take? I see only a few mins. went by on the watch used above. Was this just for photos, or is it quick? How long in each position? If its of short duration, how can you assure theres no glitch 10 ten hours into the cycle. Or is that part of what your not telling us....? A: The whole process usually takes about two to three hours...This includes the cleaning and conditioning...A printout in each position goes on for about 30 seconds. If its of short duration, how can you assure there's no glitch 10 ten hours into the cycle. Good Question! That is why the watch is conditioned and cleaned before you even start regulation to ensure there wont be problems ten hours down the road. 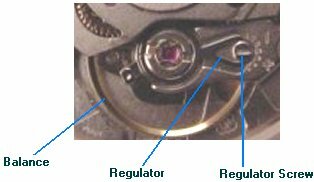 That is also why it is too simplistic to say you can regulate a watch by simply moving the regulator screw. Thanks for helping us make that point! In addition, we do also observe a watch for 24 hours before we send it off to further ensure there are no problems. We also offer a warranty on every watch we work on or sell and we do not want to be getting them back! Q: If a watch is adjusted in 6 different positions as opposed to 3, would it be more accurate over time ? A: Watches are commonly used in the three positions we regulate in. On a high beat movement, the accuracy is more consistent in multiple positions therefore it is not necessary to regulate in more than three positions. However, we do check in other positions to make sure there is a degree of consistency and the watch is performing well. If we do notice a drastic change in the printout from the timing machine that could indicate a problem with the balance, escapement, pivots, hairspring, etc. and we would proceed to correct the problem. Railroad Pocket watches are more commonly regulated in six positions because they have timing screws, gold screws and split balances...Also chronometers with sophisticated balances get regulated in more than three positions. The article we wrote is very brief and is meant to give a very basic overview of the whole process. ADD YOUR OWN LOGOS TO YOUR WATCHES! CLICK HERE TO ORDER YOUR OWN LOGOS OR DESIGNS!